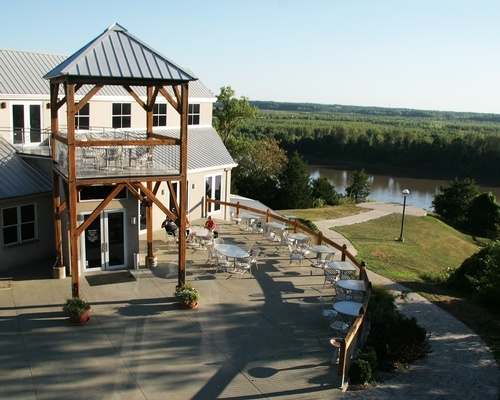 Celebrate the beginning of spring and March Madness with your fellow EPIC members at Les Bourgeois Vineyards! Whether you're a new or seasoned member of the group, a basketball fan or not, this is a fantastic way to meet new people, connect with those you don't see often, and strengthen your network in a relaxed and casual setting. Show your spirit for your favorite team by decking out in their colors and gear, or come as you are. There will be food, beautiful scenery, and fantastic company, so don't miss out on all the excitement! Register today! The event will take place at the Blufftop Bisto Terrace. Advance registration is appreciated. Online registration is $10 until 11:55 p.m. on March 18, 2019. After the pre-registration deadline attendees can pay at the door, where the price will be $15. We hope to see you there!